hd00:12SALAMANCA, SPAIN - DECEMBER 10 2017: Plaza Mayor (Main Plaza) in Salamanca, Spain is public square. It was built in traditional Spanish baroque style and is popular gathering area. 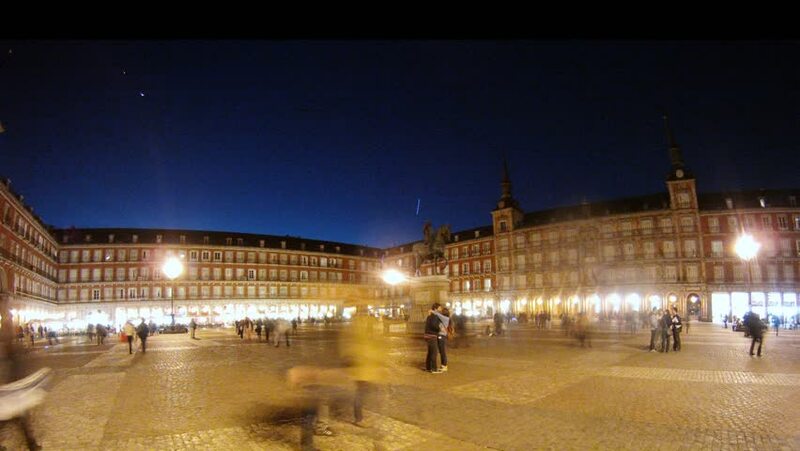 4k00:12MADRID, SPAIN - SEPTEMBER 9: Timelapse view of the Plaza Mayor at night on September 9, 2015 in Madrid, Spain. hd00:08FRANCE, PARIS - SEP 14, 2014 (Time lapse): People walk at square with famous pyramid near the Louvre at night.